National trailer rental, leasing, and fleet maintenance specialist Trailcon Leasing Inc. has announced its purchase of Calgary-based Hubs Trailer Service, changing the landscape of fleet leasing and support services in western Canada. 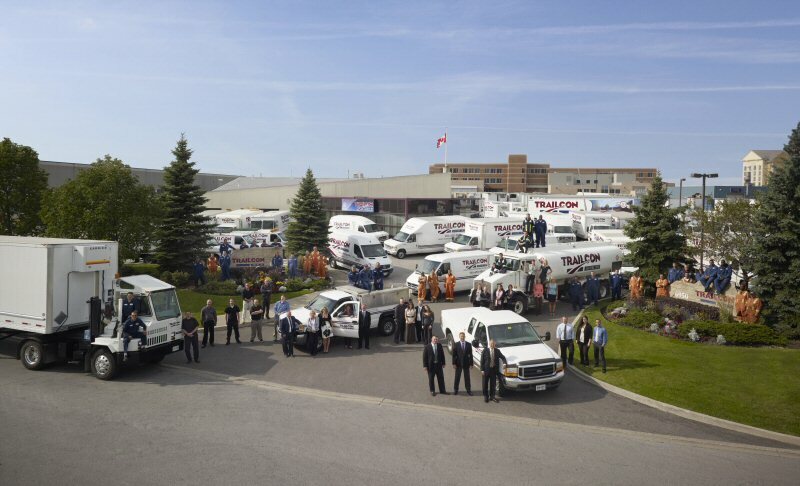 Trailcon President Alan Boughton announced the purchase from the company's head office in Mississauga, Ontario today. He says Trailcon has been looking to expand its existing Calgary operation and acquiring Hubs is a "right-fit" opportunity. "Hubs is well known for its ability to serve customers quickly and with a ton of expertise," Boughton said. "They have an impressive shop for doing major repairs and safety inspections and they're open seven days a week. Add to that our own fleet maintenance services, plus our long-term leasing and local rental business, and you see how we can offer a whole new level of service." Boughton started Trailcon in 1992. Today, with more than 100 employees, Trailcon owns a fleet of 6,500 units, servicing companies such as ATS Healthcare, Canada Cartage, National Fast Freight as well as some of the largest grocery chains and retail merchandising chains in the country. Its maintenance operation looks after an additional 8,500 customer-owned units across Canada. Existing customers of both Trailcon and Hubs will benefit from a larger network of fleet support services. "Our customers shipping across Canada used to have to find their own support in the various markets they travelled through," said Hubs owner Mitch Hancock. "Now they'll be able to access a much larger service and repair network when they need it." All Hubs employees will be brought into the Trailcon family, along with a 15,000-square-foot facility housing eight service bays. Hancock says bringing Trailcon and Hubs together benefits both organizations, their employees, and their customers. "This is one of those 'one plus one equals three' kind of deals," he said. "Trailcon will benefit from the hard work Hubs employees have done in recent years to establish a great reputation for service, and Hubs will benefit from being part of a larger picture that includes fleet leasing and rental." Trailcon has operations in Mississauga and Cornwall in Ontario, and Edmonton and Calgary in Alberta. The purchase of Hubs Trailer Service is the first Trailcon has made since the 1990s but is not expected to be the last. "Trailcon is blazing a new trail -- a trail of acquisitions," Boughton said. "We're in growth mode, with our sights set on further expansion across Canada." To view the photo associated with this press release, click on the following link: http://www.marketwire.com/library/20140212-Tatephoto1.jpg.